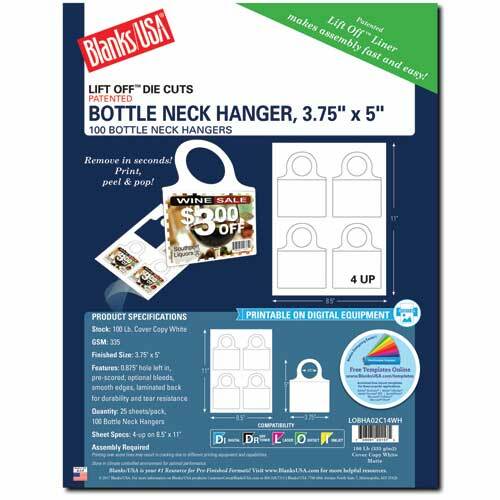 Die Cut Bottle Neck Hanger on 100lb Cover Copy White. 25- 8.5" x 11" Sheets, 4 hangers per page, 100 hangers per pack. finished size 3.75" x 5". 0.875" hole left in, prescored, optional bleeds, smooth edges, laminated back for durability and tear resistance. Assembly required.